Cosmic are advocates when it comes to apprenticeships. We took on our very first apprentice, Ben, in 1998 and he is still a valued member of the team. Since that time, apprenticeships have changed and Cosmic have evolved their offering to suit the needs of those looking for this type of work. In 2013, Cosmic secured funding to run their very own digital apprenticeship programme, which saw us employ six young people and gave us the opportunity to provide them with a wealth of digital knowledge. The apprenticeship enabled these young people to work on a variety of areas within our business. This includes website design and development, technical support, digital marketing and training; as well as the opportunity to gain placements with a number of our partners, including Mole Valley Farmers, Yarlington Housing and Eloquent Technologies. Since then, we have been working with the Exeter and Heart of Devon employment and skills board to look at different ways in which we can offer apprenticeships. We are all aware that there is currently a skills shortage within the digital sector. Many organisations recognise the need for digital within their businesses, but do not have the expertise to support these roles or do not need these roles on a full-time basis. With this in mind, Cosmic have designed an apprenticeship model which allows other organisations to benefit from Cosmic’s digital skills and offers a more flexible approach. We have called it the ‘Carousel Apprenticeship’. In 2016, Cosmic held talks with several members of the Exeter and Heart of Devon employment and skills board around this approach and it was agreed to move forwards with two other employers: The Deer Park Hotel and River Cottage. Cosmic have employed a digital marketing apprentice; Gemma Spencer, who began the new programme in February 2017. Gemma attends college for 1 day a week and works at Cosmic for 1 day a week. During that time, she focusses on learning a range of digital marketing skills. She then works 1 day at the Deer Park Hotel and 2 days at River Cottage, allowing her to apply her learning to different organisations. 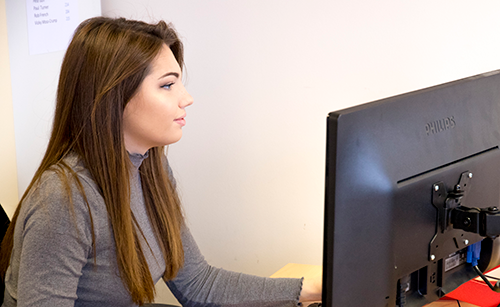 The businesses benefit from a skilled digital apprentice and Gemma benefits from a wide range of learning through a number of organisations. Already, Gemma is embracing the new way of working and has grasped the opportunity with both hands. She says, “I am looking forward to this new type of apprenticeship. Being able to work with different companies such as Cosmic, The Deer Park and River Cottage is a fantastic opportunity, giving me the chance to build strong relationships and gain as much experience as possible. One of the things I am looking forward to the most is being able to experience different working platforms, and interacting with so many different people. This will teach me to keep an open mind and have multiple perspectives for each company and their brand. Every day in the week will be something new with different surroundings and I’m more than excited for the opportunity”. Managing Director of the Deer Park, Mark Godfrey advised “Deer Park are committed to the apprenticeship scheme and are proud of what we have achieved with our partners; River Cottage, Bicton College and Exeter College. We have had 6 apprentices working with us in the last 4 years and it’s great to see them all develop and move up the employment ladder with good qualifications. We have been lucky enough to have apprentices from Bicton in our garden department growing produce for our River Cottage apprentices to cook for our 2 Rosette restaurant served by our Front of House apprentice from Exeter College. Now that’s a great example of plot to plate and growing your own! All partners are delighted to be running this new programme and cannot wait to report on the programme at the end of 18th month scheme. Cosmic is extremely proud of the apprenticeships they have offered over the last 19 years. They will continue to look for new innovative ways in which to reduce the skills gap and enable other organisations to embrace technology through apprenticeships.